Should You Pay For Mold Testing Or Get An Inspection For Free? Why Pay For Mold Testing When A Mold Inspection Is Free? You’ve discovered mold in your home or office. Now what? If you’re like most people who find mold, your first thought is to call a mold removal company to have it tested so that you can see if it’s dangerous. However, very often when customers call a mold removal company, they find out that mold testing is very expensive—anywhere from $200 to $1000. But don’t panic. There’s no need to rush out and immediately spend a lot of money on mold testing. A good mold remediation company will provide a mold inspection for free. So what’s the difference between mold testing and mold inspection? Unless you’ve gone through the hassle of dealing with mold before, chances are you don’t know what is involved with either one. Mold testing is when a professional comes and takes samples of the air around the mold. Using a spore trap, they will capture the spores in the air and will then send it to a lab to be analyzed. The mold may also be determined by testing the surface around the mold area. The mold tester will do this by taking a swab sample, a tape sample, or by removing a piece of the mold-infected area. Mold inspection is when a trained mold inspector comes and looks for evidence of mold inside walls and other areas, including areas where there may be mold damage, such as inside crawlspaces and inside basements. They will also look for sources of unwanted moisture which may be causing the mold growth. As you can see, the difference between mold testing and mold inspection is significant. Mold testing can reveal what type of mold you have, but even if it’s not black mold, it will still need to go. While some strains are more toxic than other strains, no mold is good to just have hanging around. The Institute of Medicine has stated that, while mold isn’t actually toxic, it has been proven to cause respiratory problems, itching, headaches, sore eyes, coughing, and wheezing when associated with indoor exposure in both adults and children. This goes for non-black mold as well. Even if you’re lucky and the mold in your home or office is “harmless”, it can promote other types of mold, which will grow quickly and could be unhealthy. This is another reason why mold testing is unnecessary—because whatever the tester finds may very well change by next week. Another reason that all mold (not just black) should be removed is that it all can grow to the point that it causes other problems besides health issues. Mold of any kind can cause leaks in roofs and pipes, humidity and condensation within the home, indoor flooding, unsuccessful drainage, and foundation problems. Not only are all types of mold unhealthy and undesirable—they’re also all removed the same way. There’s no different method to removing certain types of mold. This is good news if you’ve spotted mold in your home or office, because you’ll save money by not getting a mold test. You can simply call a professional mold company to come out and do a visual mold inspection. The price you would have paid for mold testing can instead go to the mold remediation. Mold will need to be removed either way, so you’ll be doing yourself a big favor by skipping the unnecessary mold test. So why do companies even bother to offer mold testing? 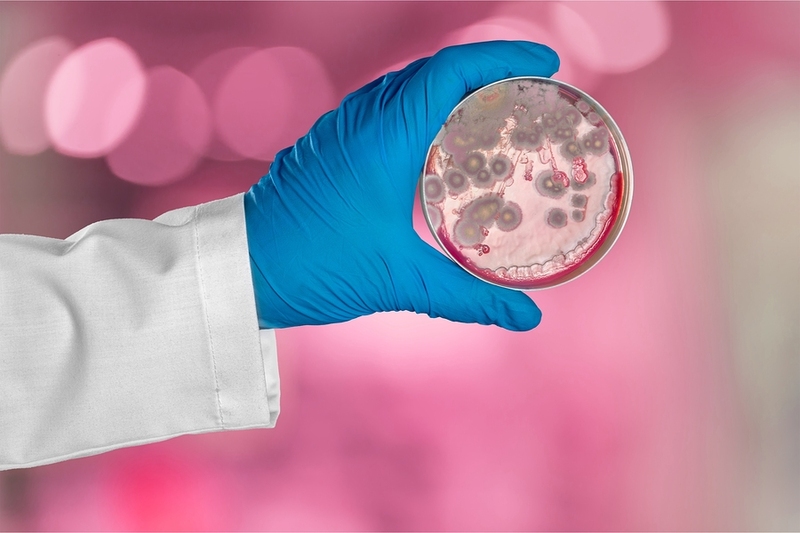 While there are plenty of honest mold removal companies out there, there are also many who know that people will pay hundreds of dollars in order to know if they have “poisonous mold” growing in their home or office. These companies know that they can tap into customers’ fears and earn extra cash. But as mentioned before, the knowledge of knowing whether the mold is toxic or not is irrelevant, since any mold you see will need to be removed—whether it’s black or any other kind. When mold can be smelled, but not seen. When a visual mold inspection can’t determine if the mold is toxic. When a mold test is requested by a property buyer or seller. When there is a dispute between a tenant and a landlord as to whether there is actually a mold problem present and you need proof. When there have been water issues, such as leaks and you think there may be mold as a result. When a doctor is unable to determine the cause of headaches, sneezing, coughing, or other respiratory problems, and you have not seen any mold. As you can see, the situations in which you would truly need a mold test are very limited. Remember, if you can actually see mold, testing is irrelevant. (Unless you need proof of it for a landlord or buyer, as mentioned above.) Instead of paying for mold testing and mold removal, why not simply pay for the removal? Trust us, the mold will need to go no matter what type it is. If it’s not the kind that attacks your health, it will most likely attack your home in one way or another. Allowing any kind of mold to stay put is risky and very dangerous, and will most certainly depreciate the value of your home. And if it’s one of the many unhealthy types of mold, you’ll suffer breathing issues on top of the home damage. If you’re in the Las Vegas, Henderson, or Clark County area, one of our professionals at Pro Restoration can come out to inspect your mold situation for free. We will perform a mold inspection for you, and we will act quickly to remove it before it gets out of hand. To learn more about our restoration services, contact Pro Restoration today.